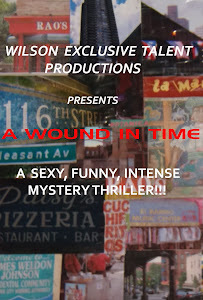 A WOUND IN TIME: WHEELS IN MOTION AS WE SLOWLY EASE INTO PRE PRODUCTION! WHEELS IN MOTION AS WE SLOWLY EASE INTO PRE PRODUCTION! Completing casting and organizing a crew. Have a doable budget figured out. Shoot schedule begins after holidays! FINALLY!!! "Where there's a will, there's a way!"